As an audiophile, I love listening to new gear and purchasing the best-sounding equipment my budget will allow. But as an experienced businessman, I find myself taking an interest in high-end audio companies for reasons beyond their products’ performance. I find it interesting, nay, fascinating to see the high-end audio market accepts and rejects various companies, their product lines, their marketing strategies, and their business practices. Some companies start with a splash & fizzle out in time (think Apogee, Gilmore), some change their focus, mission and personality (Infinity, Levinson), some dominate and continuously set the standards for others to follow (Wilson), some innovate and define a previously-unknown need and thereby gain first-mover advantage in the market segment (Transparent, MIT, Nordost), and then some just pop out of the ground like seedlings only to grow into stout trees which I admire and salute. Frankly, I admire the focus & spirit of companies like Shunyata, EMM Labs, Kharma et al, as these are people who are indeed living the American dream of owning one’s own successful business. Dan Wright of ModWright has earned a seat at the table of successful entrepreneurs in high-end audio. Starting as a one-man operation, Dan has leveraged the ModWright brand equity earned in the digital realm into the pursuit of different market segments with new products and custom manufacturing. Heck, he’s got his own line of capacitors! In the world of high-end audio, that’s like having your own brand of toothpaste! But, has Dan overextended his company with a line extension? Is ModWright straying too far from its core competencies? While I found Dan’s top-of-the-line CD player, the ModWright Sony 9100ES, to be an unmitigated success, I had to ask myself: what does a guy who started off years ago by modifying digital gear know about building his own preamps from scratch? As it turns out, he knows plenty. But let’s not get ahead of ourselves. The Modwright 36.5 is a remote-controlled, fully balanced tube linestage. It is not of a balanced-circuit, however; instead, ModWright relies on a pair of output transformers to convert the signal to a balanced form. While purists might eschew the use of additional parts in the signal path, there are a number of advantages to using this approach from a design standpoint. First, the output transformers allow for nearly universal compatibility with any load (amplifier), as the output impedance of the 36.5 is only 110 ohms. From a system-matching perspective, audiophiles should try to maintain a 1:100 ratio between preamp output impedance and amplifier input impedance in order to preclude any frequency anomalies. With its benign 110-ohm output impedance, the 36.5 can be plugged into amps with an input impedance of only 10k ohms (the lowest I’ve ever encountered) without concern for tonal anomalies. Secondly, as the output transformers are step-down, they attenuate noise at the output, helping give rise to the unheard of -125db noise level of the unit (certainly part of that ultra-low noise level can be attributed to a well-designed power supply and proper grounding). Thirdly, the output transformers allow modification of phase of the signal, and for those of us who like our soundstage imaging focused and specific, a phase switch is like having power steering on your car—sure, you can drive without it, but you really don’t want to. Finally, if you have to drive long cable runs between your preamp and your amp, you definitely want to do so in balanced mode, as single-ended cables are far more susceptible to hum and air-borne noise pollution. So, is an output transformer all gain and no pain? Not quite; the flip side to this step-down output transformer would be a minor loss of microdetail (low-level detail. –Ed) and dynamics, which I’ll cover during the listening impressions of this review. In the introduction, I coyly asked what does a company whose reputation is for modifying digital gear know about designing and building preamplifiers. Well, Dan Wright strikes me as the sort who’s smart enough to know what he doesn’t know. 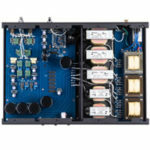 While ModWright has significant experience and acumen in power supplies, parts selection, and resonance control, they instead outsourced the circuit design of the preamplifier to Alan Kimmel. The circuit is a zero-feedback, class-A cathode bias Mu-type circuit. While the original Kimmel-designed Mu circuit is available via public domain, the one in the 36.5 is modified via collaboration between ModWright and Kimmel. Like the BASF commercials, they didn’t make the thing, they just made it better. 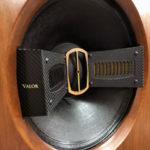 The power supply, which is where all reviews of amplifying devices should focus, as ultimately that’s what you’re listening to, uses a toroid transformer that is big enough for power amplifiers found at the $2k price point. Tube rectification via a single 5AR4 ensures that the power feeding the linestage is not polluted with any solid-state nastiness. Additionally, Dan is evidently quite fond of using chokes in the power supply (as is Lamm, Theta, EMM and a few others), as he recognizes their value in cleaning up additional power supply noise. That -125db noise level is not an accident. One wonders why every manufacturer doesn’t use them in their power supplies; the answer is two-fold: size, and cost. Nice to know ModWright spends the money where it pays big dividends: the power supply. Volume control is accomplished via a motorized Alps potentiometer—not necessarily the state-of-the-art, and I admit that my biases would’ve led me to fear microdetail loss or poor channel matching as manifested in image wandering from this choice, which I’ll address during the course of this review. Each channel employs a 6H30 tube in the signal path. But what I found most interesting when looking inside the unit was the use of only “ModWright” brand capacitors. As an amateur modifier myself, the first thing I’d do to enhance the sound of any gear is to upgrade all the capacitors to the best I could use, sparing no expense on those in the signal path; the value of high quality capacitors is not lost on me. The 36.5 uses two different varieties of “ModWright” capacitors: oil-impregnated poly design for values above 1uf, and Teflon film & foil for smaller sizes. I had asked Dan what other caps he used and found inadequate before settling on building his own, and the list includes many major brands in the high-end audio industry. You’ve got to admire the ambition and perseverance of someone who, when trying to build something, realizes he has to build something else first, and then goes about doing so. In my review of the ModWright Sony 9100ES, my primary criticism was one beyond ModWright’s control: the Sony 9100ES platform was of a build quality that left me a bit put-off. Mind you, the unit never had a hiccup, burp, gurgle or even the slightest sniff or cough in the months of my use; I’m just saying I like a bit more heft in my gear. When I mentioned this criticism to Dan, he replied by saying “Just wait till you see what we can do on our own.” Indeed, he was correct, as the 36.5 linestage is among the things that I, as an obsessed audiophile, love to see. A 30-plus pound custom chassis, solid non-resonant construction, precise switches, pretty blue LEDs—all is right with my audiophile universe again. Yes, I’m a shallow audiophile this way, but so are you darn it, so just admit it about yourself and lets move forward in our shared audio-vanity. Aesthetically, the unit is slim and doesn’t throw off much heat despite the 3 tubes. While the remote (cutest little thing!) works terrific for VOLUME, MUTE & PHASE (hip hip hooray! ), there is no mono switch, and I still had to get off my lazy duff to change sources. Initially, I didn’t care for the fact that in selecting a different source, none were labeled on the faceplate; it’s simply a series of indiscriminate dots marking one selection from another. However, once you get used to it, it is irrelevant to all but reviewers like me who end up changing sources every week or two. I was initially paranoid that I might incorrectly connect a source to the HOME THEATRE bypass input and thereby send an unattenuated signal to my amplifiers which would damage my speakers, but the unit has an additional precautionary switch that must be activated for the bypass to engage. Kudos to ModWright for saving their customers from themselves. One of the first tests I perform with a preamplifier is the tweeter test. Preamps, especially tube preamps, are apt to add noise to the signal—which compromises dynamic contrasts, tonal purity, soundstaging and treble articulation. In performing the test, I simply select a source that is not playing and turned the volume higher and higher, with my ear at the tweeter of my speaker, listening for hiss to come through. Hiss always comes through. But I have to hand it to the Modwright 36.5; it is without a doubt the quietest preamp I’ve ever encountered. I almost, almost, got to the end of the volume pot’s range before I started picking up hum with one amplifier, and I got no hiss whatsoever with another amp (input sensitivity being the difference maker). 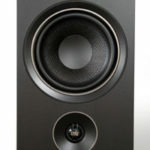 Given the use of tubes and the exceptional performance during the tweeter test, I was optimistic that the ModWright 36.5 was going to handle the upper registers with exceptional competence, having a bit of tube sweetness which makes them the preferred amplifying device in lieu of solid-state devices. The ModWright didn’t disappoint at all, rendering cymbal crashes and triangles with sweetness and articulation. Never did I experience any tonal whitening or etch in the upper registers unless I plugged in an ancillary piece of gear that had its own tonal flaws in this region, the ModWright simply did its job with an evenhandedness that alerted me to a problem elsewhere in my rig, while also imparting a bit of tube sweetness that helped ameliorate, but not enough to correct, the other gear’s errors. Often times it is the treble performance of digital playback that makes it amusical and fatiguing. With the ModWright in the system, I found CD players that had that infamous digital ‘etch’ (Pioneer, Wadia) far more inviting for long-term listening through my Wilsons than with other preamps on hand. And poorly mastered CDs only make the case for the ModWright all the more compelling. As one of the lucky ones to have the ModWright Sony 9100 ES in for extended audition, I can say that one of its defining characteristics is the way it handles the midrange. In my review, I stated that I preferred how it handled female voices and piano more than the awe-inspiring Esoteric XO1-D2. The Modwright 36.5 is obviously sharing the same family genes, as it has a remarkably satisfying way with piano and vocals. I’m left to wonder: is this the sonic signature of the custom ModWright capacitors? Both ModWright products strike me as the cure to those afflicted with ‘hi-fi’ stereos that fall short when it comes to making music, so the common design themes (tube power supply, tube output stage, custom capacitors) evidently are doing the trick. Listening to An Evening with Herbie Hancock & Chick Corea, I found that the 36.5 delivered all the overtones that the dueling pianos could offer. Similarly, Tom Wait’s House Where Nobody Lives was presented with all of the gravel-throated quality that makes Tom so irreplaceable, and his music so unforgettable. Moving down in the frequency spectrum, I found the 36.5 also much like its cousin, the ModWright Sony 9100 ES. Bass was deep and had impact, but not as much depth and heft as the high-ticket preamps available. Also, there was a loss of deep bass articulation when listening to instruments like kick drums or organs, which I determined when listening to both Toto’s “Africa” and Nouvelle Vague’s “Psyche” off their self-titled releases, a terrific record which I wholeheartedly recommend. I’m not saying the 36.5 is not satisfying in the bass, as it kept my toes tapping enough that it clearly had me grooving, but I have to do my job and point out faults when compared to the best money can buy (which in my experience is the Einstein The Tube). Now, it’s probably not fair to compare a $5k preamp to a $16k preamp—correction, it is not fair to compare the two, but hey, since the ModWright products can outperform rivals at 3x the price in select areas, the comparison has to cut both ways in order to do justice to the more expensive products. One should know what one gets for the extra $10k, and in the case of the preamps, you gain a bit of bass depth, articulation and impact when you go to a pricier preamp out there over the ModWright. But to the ModWright’s credit, the difference is not enough for me to go pining for my high-dollar reference. To further elaborate on the bass, let’s spend a few minutes talking about pace, rhythm and timing (PRAT). When audiophiles encounter systems that employ subwoofers that have too high a crossover point or too much gain (or both), they will find that these configuration settings result in too much or ill-defined bass, which effectively destroy PRAT, slowing the music down and obscuring the timing that makes a well-rehearsed band sound that way. While I was critical of the ModWright’s bass in the preceding paragraph, I can offer further evidence that it still fully serves the music as evinced by the PRAT the 36.5 delivers. Listening to Tom Waits “Cold Water,” I actually got a better sense of what Tom was trying to accomplish in this song than with my reference Einstein preamp. The Einstein, despite all its charms, moves fast, and when coupled with aggressive (aka solid-state) amps, can be too aggressive in moving from one note to the next, not giving the music time to bloom as the artist intended. The ModWright 36.5 allows this bloom to occur, making it an excellent match with beastly solid-state amplifiers that sound a bit aggressive. In a similar sense to PRAT, the ModWright rendered struck instruments with pop and snap, helping to define the transient fidelity that is critical to properly reproducing a drum kit, a piano key, or a guitar string. Macrodynamics, or the way music goes from soft to loud quickly, was also excellent, but not quite up to the standards set by my reference Einstein preamp. Then again, nothing is. Listening to Toto’s “Africa,” the ModWright 36.5 did an admirable job defining the snap of the drum kit, missing only the last smidgen of punch compared to the best I’ve heard. I think it’s worth commenting on how well the ModWright did in this regard, but frankly I expected nothing less given how competent the ModWright is with power supply execution. And friends, it is power supply design and execution that determines how an amplifying device does with macrodynamics and transients. The Modwright 36.5 was also a peach when it came to throwing a soundstage. The soundstage was as wide as the recording would allow, while also providing a mid-hall presentation, a relief for owners of forward sounding speakers /amplifiers. Images were stable and well-defined, especially when phase was adjusted properly, which I consider quite an accomplishment given the use of a traditional potentiometer for the volume control and its well-known channel matching errors. Potentiometers are hardly the most accurate choice in volume attenuation, but in this iteration, it was clearly good enough for these ears. Performers were not overly spotlit, but each had their own space, both around and behind them, which really is a testament to how quiet the unit is, as you cannot hear the silence around a performer unless there is silence to start with. In the BACKGROUND section of this review, I touched on the theoretical benefits and drawbacks of employing output transformers in a preamplifier. And I’m pleased to say that, thus far the facts meet the theory; the output transformers greatly reduce noise and allow phase adjustment, allowing the unit to throw a well-defined soundstage and deliver a sweet and articulate soundstage, but they also obscure microdetail to a small degree, which is also predicted from the use of output transformers. The ring of acoustic guitar strings was apt to roll onto one another a bit, rather than hearing each individual ring; similarly, brush strokes on a snare drum were not as clean and precise as I’m accustomed to. Now, I don’t want it to appear as though I’m listening with earmuffs on; for example, listening to Nouvelle Vague’s “In a Manner of Speaking”, I was still able to pick up the reverb of the recording studio from the drumstick clacking. How many systems can do that? Not many, I’d venture to guess. But when one approaches the edge of the art, one must state where the “edge” exists, and which products define it, and which cannot quite get there because of cost constraints though still managing to get the big picture right. The ModWright 36.5, while being a very detailed preamplifier, is not about microdetail. Much like the McIntosh 501’s, the ModWright 36.5 is not about individual things in a musical performance as much as it is about the whole. When it comes to reviewing, I’m forced to listen to individual things, but when it comes to listening to music, I’m only interested in how the whole musical envelope strikes me. And the ModWright 36.5 strikes me as an eminently musical preamplifier that I could live with indefinitely. Kids, let’s make this simple: if you have a tube preamp with a big power supply that passes the tweeter test, you’ve probably got a winner on your hands. And that is exactly what Modwright has in the 36.5. 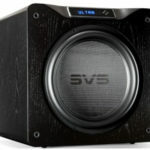 Dan seems to have found a successful formula for building eminently musical components that sacrifice little against the best money can buy, while also delivering exceptional value to audiophiles operating under a budget. Musically satisfying in all the ways that serve the music, the ModWright 36.5 is a dandy of a preamp. Couple it with the ModWright Sony 9100ES, and for $8,500 you’d have a front-end that music lovers can use to check out of the audiophile merry-go-round. While not a trivial sum of money, I venture to say that an audiophile dollar can not go further than when it’s used on ModWright products. After this review was in the can, I got an email from Dan Wright himself, informing me that the 36.5 linestage now has an optional outboard power supply available. Now, if you’ve been reading my reviews for a while, I routinely state that with amplifying devices, you’re really listening to how well the power supply was built. With the optional outboard power supply for the ModWright 36.5, its reasonable to expect improvements in bass depth, detail and impact, which were my primary criticisms with the stock unit (which Dan Wright indicated are the primary areas of improvement in his listening). ModWright has its owners covered: one can start out with the 36.5 as a terrific bang-for-the-buck product, and then upgrade to the outboard power supply when the time comes. Upon doing so, you’ll likely find yourself within a cat’s whisker of the state-of-the-art in linestage preamps. I got a 36.5 with separate power supply version, and I found out that in my system, the upper frequencies are superbly clear and detail. However, I sense that the proportion of Hi and Lo is somewhat swifted to the low, making the base (not the deepest layer) uncomfortably loud, not pleasant in listening. I wonder whether with your experience, you may enlighten me.